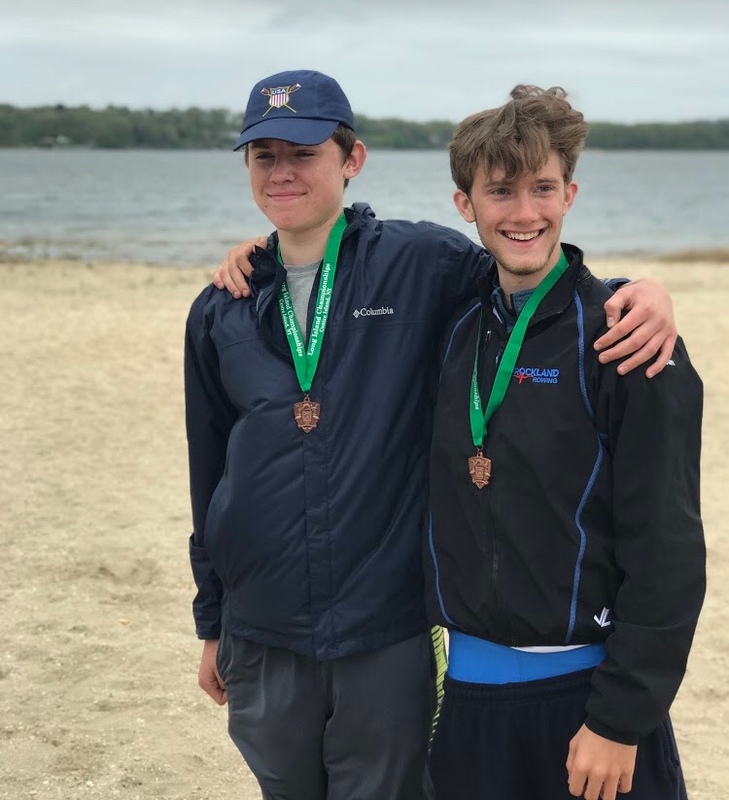 Bayville, New York - Rockland's under 19 team sent a crew to the grand finals in every event entered at the Long Island Rowing Championships, giving rowers two trips down the tracks at Oyster Bay. The day was highlighted by medaling in four events. 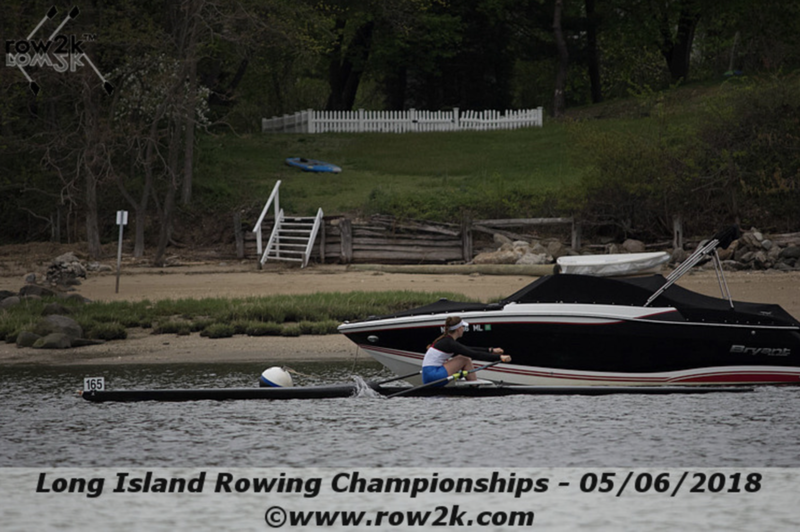 All races were 1,500 meters and led with time trials in the morning and head to head racing in the afternoon. 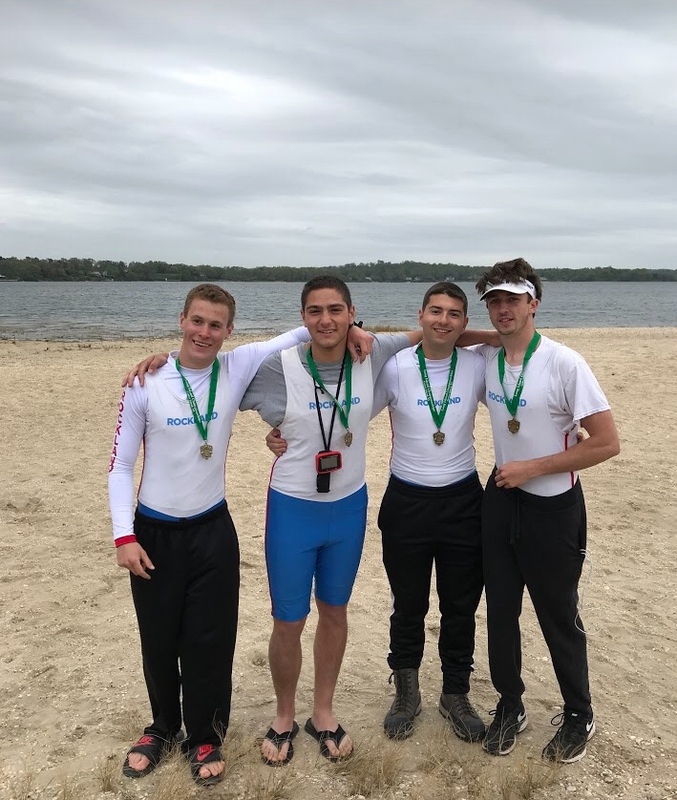 The boy's junior varsity quadruple scullers stayed hot for another week finishing yet again in first place, this time with a lineup change in bow seat. The quad finished first in an eleven-boat time trial (4:53) and went on to cruise to an easy victory in the grand final (4:34) over second and third-place St. Joe's A and B (4:48, 4:56), Pelham A, B (5:05, 5:14) and Oak Neck (5:37). The lineup was stroke seat Billy Grippi Tappan Zee '20, Jake Bardorf (3) Clarkstown South '19, Anthony Feteira (2) Clarkstown South '19 and bow seat Matt Davidson Clarkstown North '19. 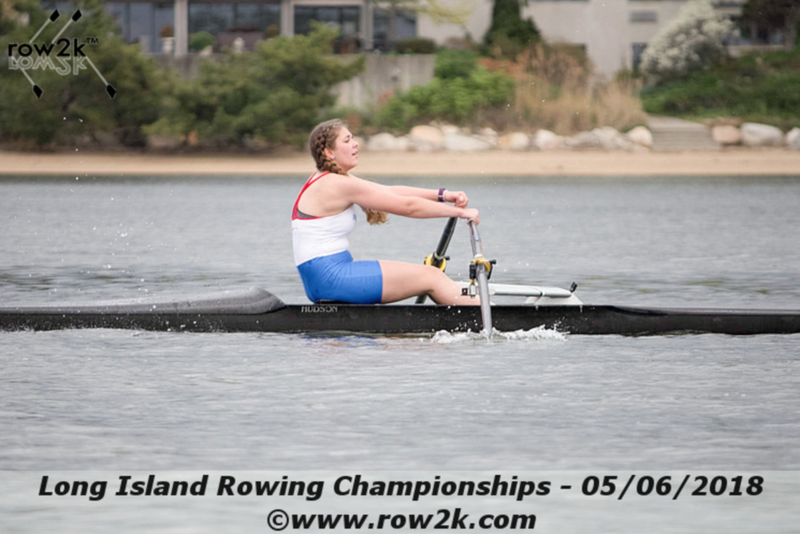 Chloe Young Ridgewood '18 advanced from the seven-boat time trial to the grand final where she took silver in the girl's varsity single sculls with a time of 5:47 behind first-place City Island (5:41) and ahead of third-place Sagamore (5:57) and three others. In the girl's junior varsity quadruple sculls stroke seat Georgia Young Ridgewood '21, Celeste Voutsinas-Klose (3) Nyack '20, Hannah Hely (2) Tappan Zee '21, and bow seat Caroline High home school '22 advanced with the fourth fastest time to the afternoon final in a field of nine. 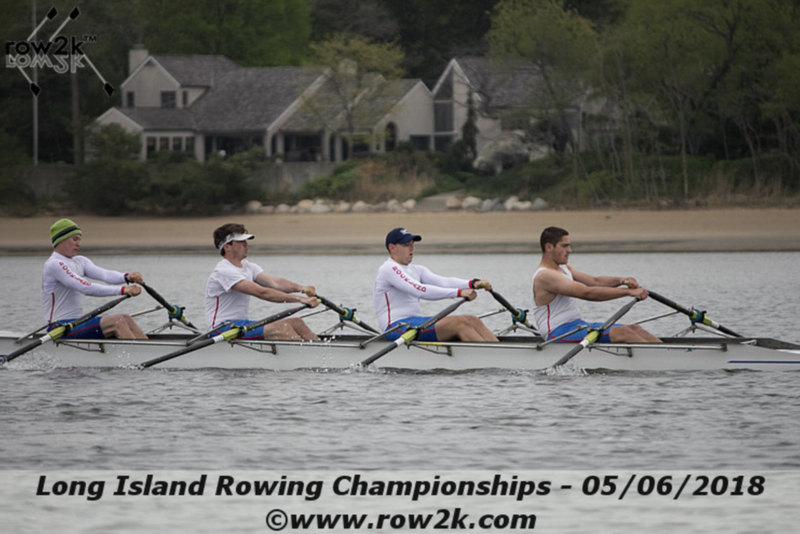 In the seven-boat grand final, Rockland took silver clocking in at 5:21 two seconds behind winner Oak Neck and nine seconds ahead of third-place Pelham Community Rowing Association. In the six-boat time trial for the boy's varsity double sculls, Anthony Rostek Tappan Zee '20 and Ryan Almond Clarkstown North '20 tied with Sagamore for the third-fastest time down the course (5:19). 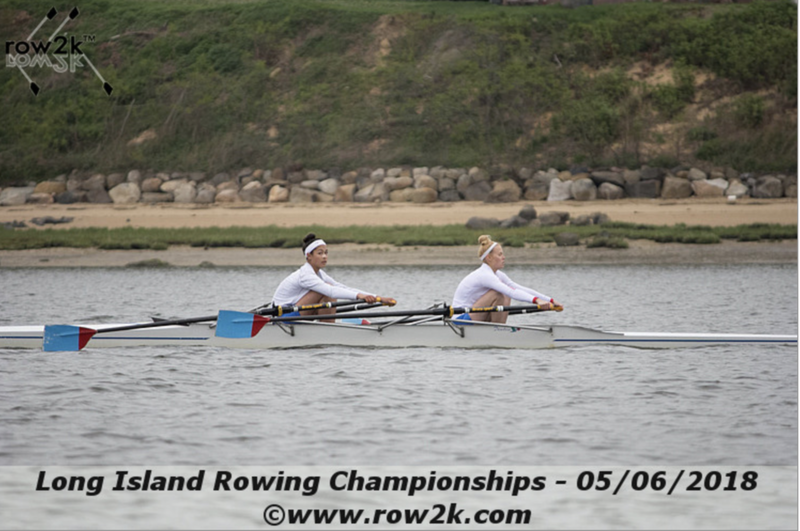 Later in the grand final, the duo secured the bronze medal in their event for the second week in a row with a time of 4:40 not far behind second-place East End (4:36) and first-place Port Rowing (4:34). Next up is the regional championships at Mercer Lake on May 12-13.